Our girls discovered a new line of shoes. I know, that is not really surprising. Amelda Marcos anyone? They asked me to read the story and I did. A few weeks later I purchased my own pair of TOMS. 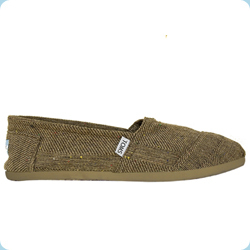 In fact, we all have a new pair of TOMS. The thing is, I did need a pair of shoes. Of all the shoes I could go out and buy, I bought a pair where the company will now give a pair of shoes to those in great poverty. The next shoe drop is in Africa. If you hurry, you may be able to help put shoes on the feet of some children. 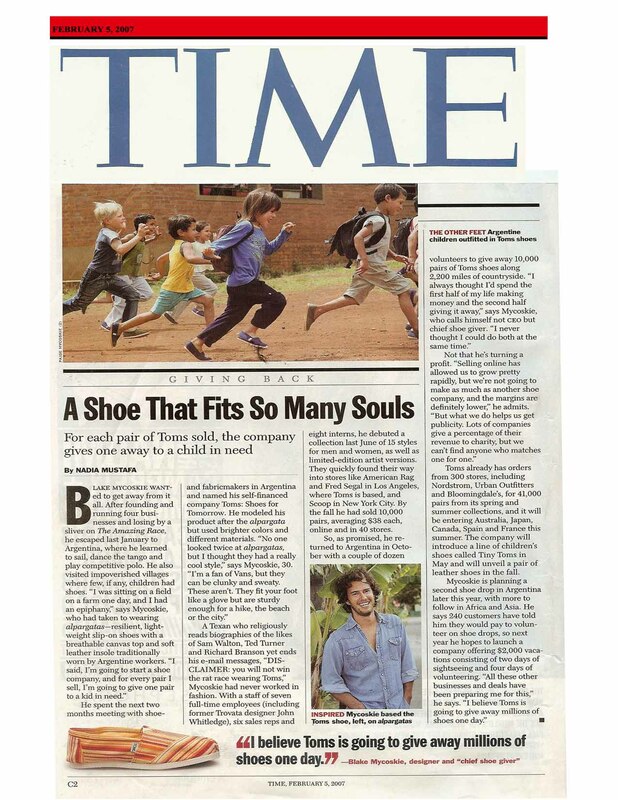 Click on this image to read a story on TOMS in Time Magazine. The shoes on the left are the ones I will be wearing. We would do well to consider how our purchases may or may not impact others everywhere. As Myanmar’s regime cracks down on a growing protest movement, “citizen journalists” are breaking the news to the world. May they continue to resist. Littleton was nominated by numerous members of the Singing Churchmen for his many years of service to the Kingdom in music ministry. He has served as minister of music at churches across Oklahoma for more than 40 years. He also served as the director for the Singing Churchmen and conducted the group on their concert tour to Japan in 1969-1970.